Don't forget that all of our Apple items are available for all UK and International customers. International and worldwide delivery is generally within 1-2 working days via FedEx, with full 12 month warranty. Don't forget if you're purchasing outside the EU you'll pay the Ex-VAT price. Listen with Ease. Charge on the go. 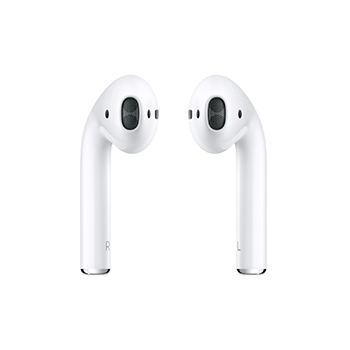 Simply remove your Apple AirPods from the charging case and they instantly turn on and connect to your Apple device. 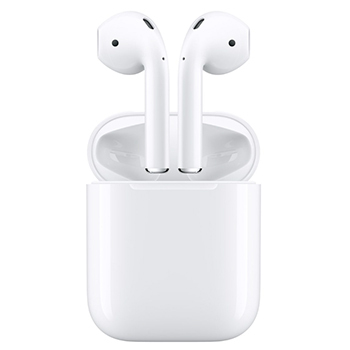 Audio automatically plays as soon as you put them in your ears and pauses when you take them out. To adjust the volume, change the song, make a call or even get directions, just double-tap to activate Siri. Delivering an industry-leading 5 hours of listening time on one charge, with a charging case that holds multiple additional charges for more than 24 hours of listening time you'll never run out of battery on the go.